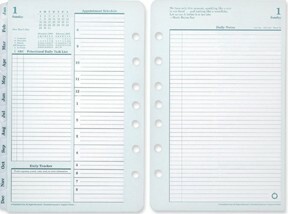 I started my professional life in the early 1980’s with a diary and simple paper lists. My boss would tell me what he wanted, and I would put that on my list. The list was never very long. The diary was to track how I was spending my time, and to keep notes. This worked for years, but as I took on more responsibility, the list got much larger, and being paper, harder to manage. Lists would be written, used, replaced, and multiplied. Technology was also getting more complicated, and since I worked in a corporate IT department, my work became more complicated as well. I needed something better. Around the end of that decade I was introduced to the Franklin Planner, and found that it resonated with me. I liked the idea of having everything in one binder, the idea of daily lists, and of having useful information always handy in my planner. That binder went with me everywhere, and my productivity increased. But as David Allen has said, “The better you get, the better you’d better get.” The more I accomplished, the more work seemed to come my way, and the work I was doing became more and more complicated. I started to feel that my Franklin Planner wasn’t working as well as it once did. My list was getting longer, and I found myself constantly copying uncompleted tasks from yesterday to today. 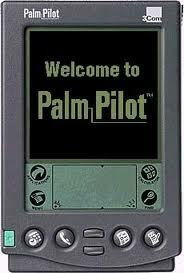 The Palm Pilot was the next step in this progression. Several of my co-workers and I went to see this new technology wonder at the Franklin store, where Franklin was bundling it with their first computer software. The idea of uncompleted tasks moving to the next day automatically was amazing, and the idea of shedding the weight of that thick paper planner for a pocket sized computer was too appealing to pass up. Palm and I had a long productive relationship, and at first that was a mixture of Palm and Franklin, but Franklin’s software was buggy and slow and I soon moved to just Palm and a product called DateBk4. This was essentially just the paper Franklin Planner concept transformed into a PDA, and it served me well for awhile, but automating the Franklin concepts was just delaying the end. I began looking for something better. As I searched for alternatives, I began seeing references to something called GTD, Getting Things Done, and after seeing it over and over, I turned my focus to that. 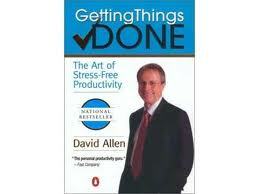 There is now so much GTD related information on the web that I suspect you could learn all about it without ever reading one of David Allen’s books, but back then the original book was the only way to go. I picked it up at lunch time and started reading it on the way home from work. I was fascinated. It was one of those moments when you feel that the book’s author can see into your soul and knows all your problems better than you do yourself. Better yet, he claimed to know the solution. I couldn’t wait to start.